It's time to go to the beach. 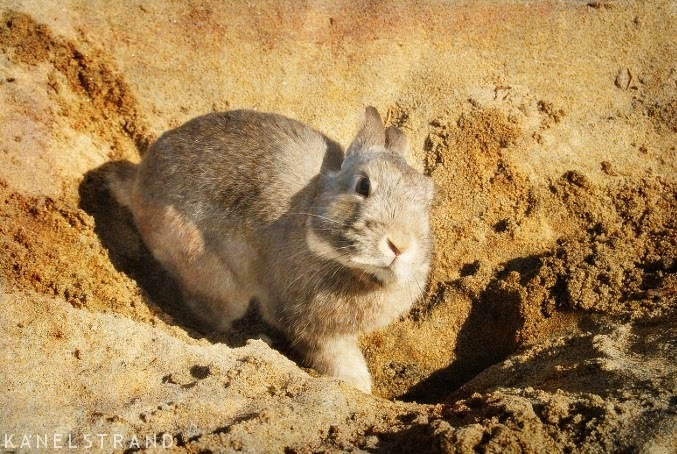 Muffin Rabbit enjoys digging in the sand. Maybe he's building his summer residence.